Everything you love about the classic spirea - and more! 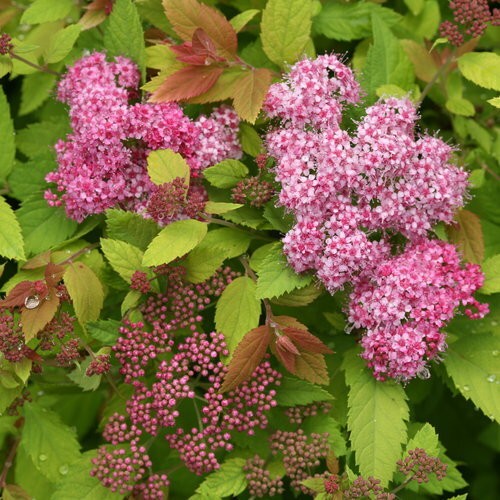 Japanese spirea comes by its popularity earnestly: durable, super easy to care for, and perfectly pretty pink flowers in spring. 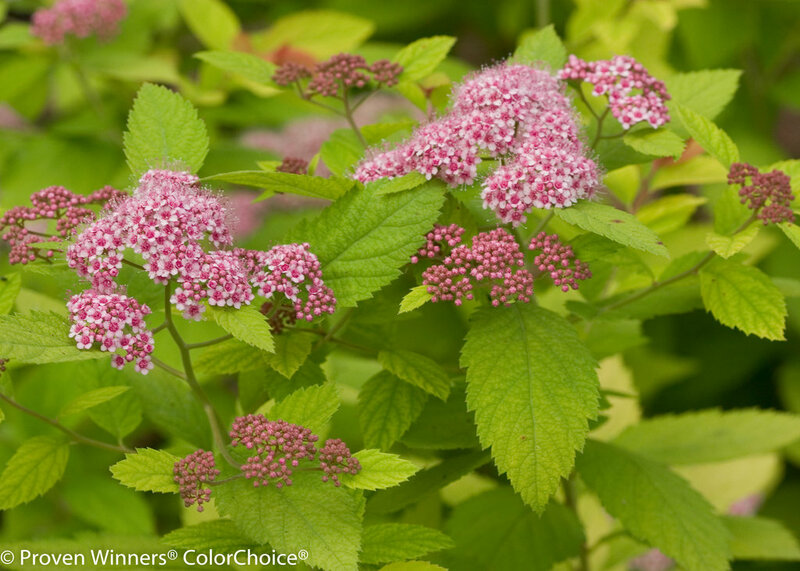 Double Play® Big Bang™ spirea does the landscape classic one better with the biggest, pinkest flowers of any Japanese spirea. 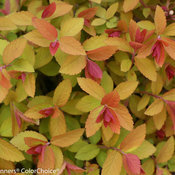 It also offers super colorful new growth, especially when it emerges in early spring. That's what makes it a perfect Double Play! 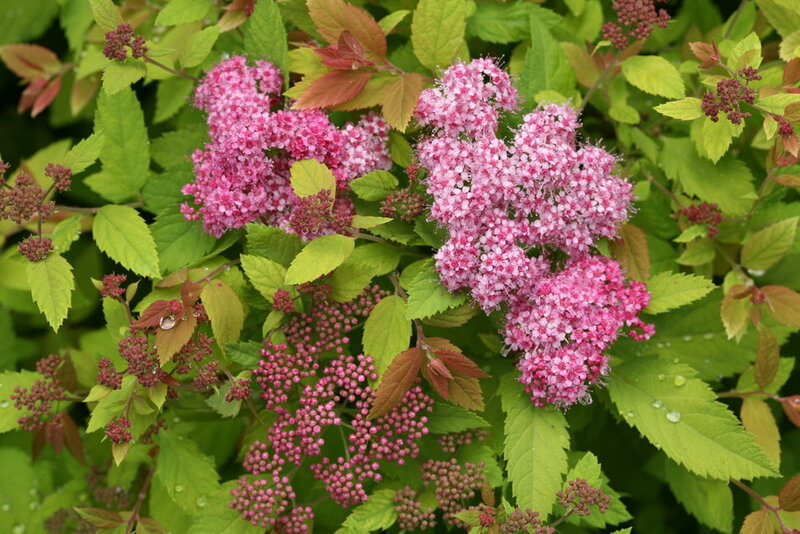 Like other Japanese spirea, it's drought tolerant, deer resistant, grows and blooms well in partial shade, and maintains a nice, neat shape without pruning. 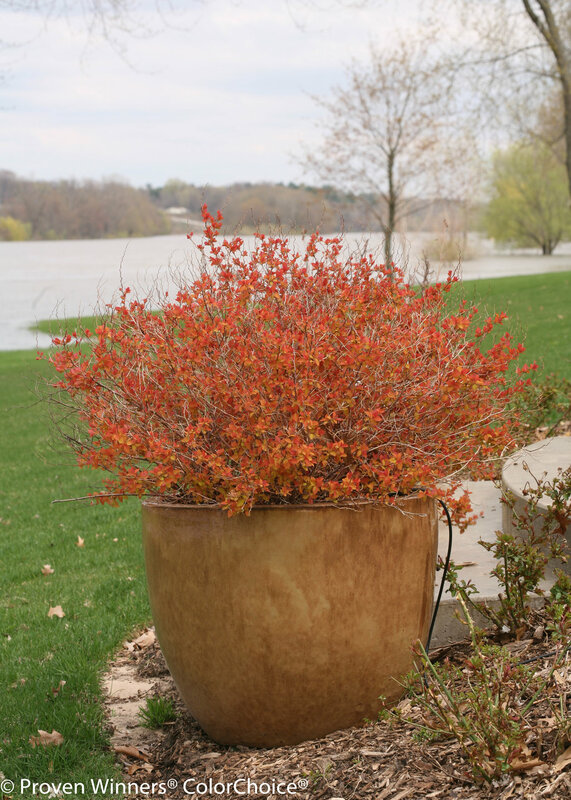 This is an outstanding landscape plant! 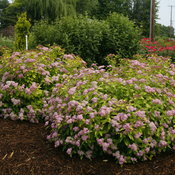 It is perfect for mass plantings or as part of the mixed border. Very little maintenance is needed. 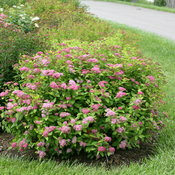 Apply a controlled release fertilizer in spring, and trim as needed to shape. 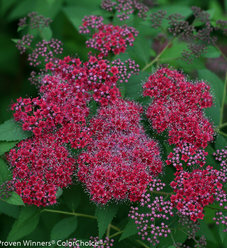 Deadhead after flowering to encourage repeat blooming. 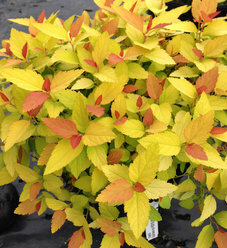 Double Play spiraea has both colorful flowers and colorful foliage. 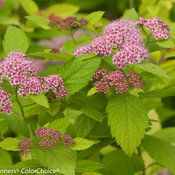 Massive pink flowers of a size never seen before adorn bright yellow foliage. 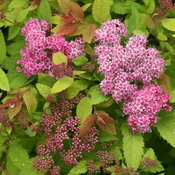 This plant has the largest flowers we've every seen on a spiraea. 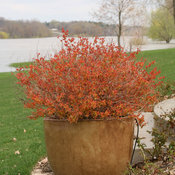 Foliage glows orange in the spring. 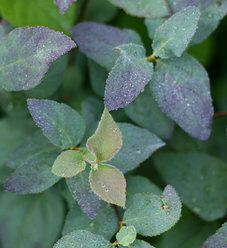 Adaptable and easy to grow, this is a great plant for landscaping. 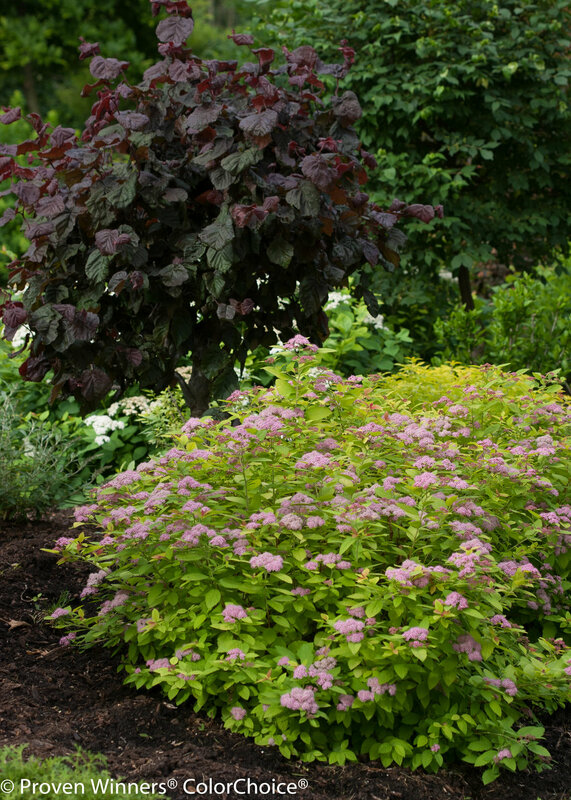 Tuck it into your existing mixed border or use it as a mass planting. 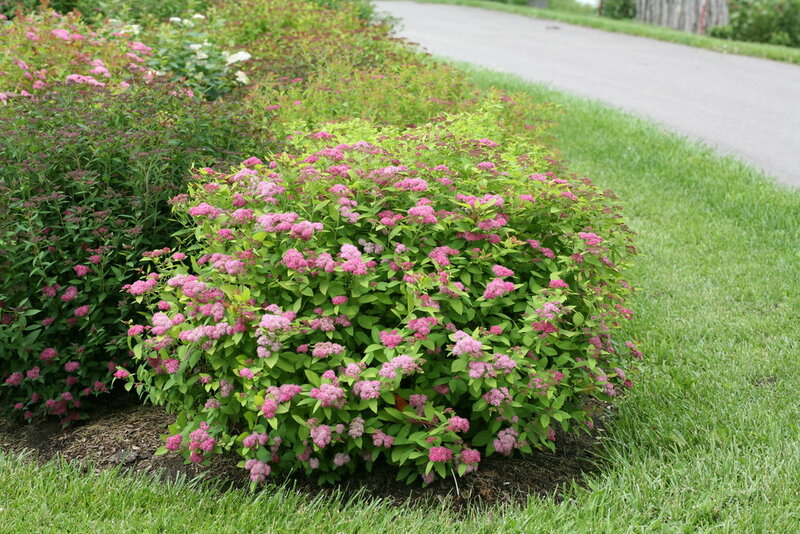 I have two of these as foundation shrubs at the front of my home (facing West.) They look great. 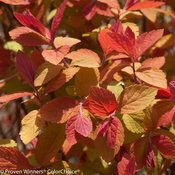 I have had other Spirea that didn't do as well as these. 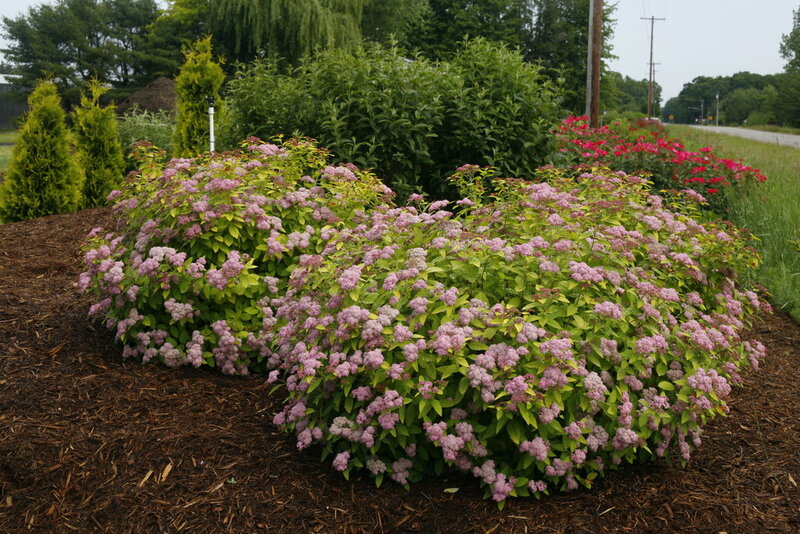 Large plants and large blooms. The maintenance recommended here is exactly what I do. 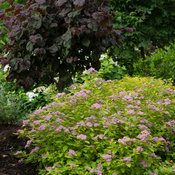 Shaping in early spring, deadheading after bloom, a little fertilizer and, of course, water. 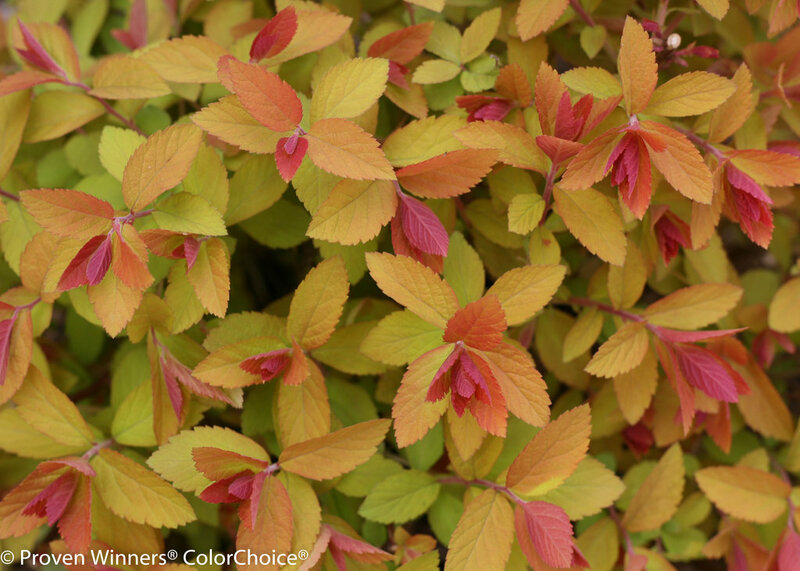 Stunning flaming kaleidoscope of color in spring.